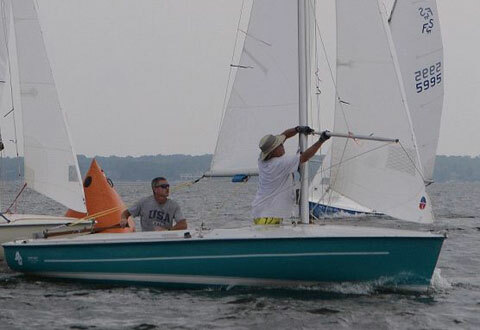 The boat is well rigged but not "radical race rigged". 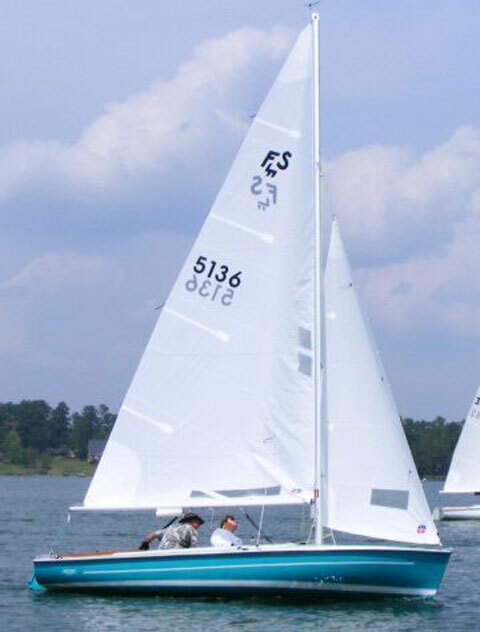 It has two sets of sails - main, jib and spinnaker. 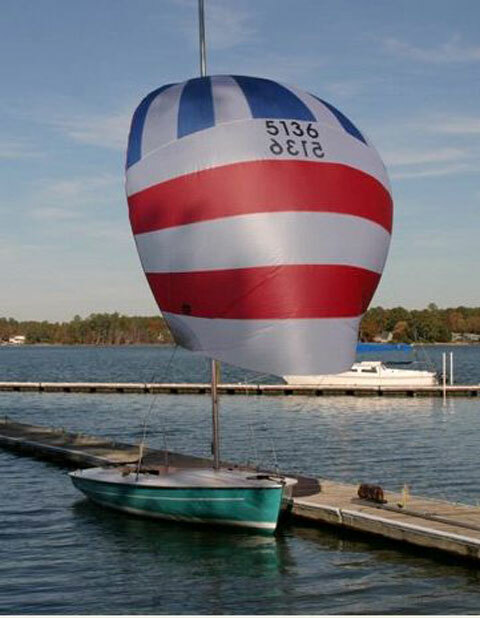 The older spinnaker matches the color of the hull but does not match numbers. The hull, deck and trailer are in good condition but with normal dings and such from the previous owner - always blame the previous owner.